The House of Representatives is scheduled to debate and vote on final passage of H. R. 910, the Energy Tax Prevention Act. The Rules Committee is allowing the Democrats to offer twelve amendments to weaken or gut the bill. 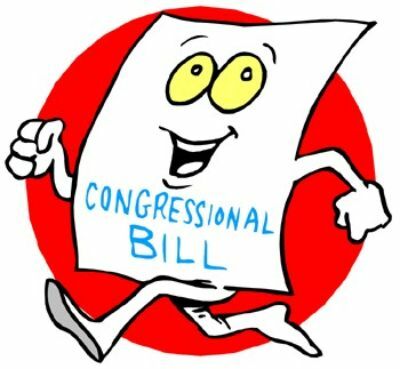 (It is worth recalling that on 26th June 2009, the Democrats allowed only one Republican amendment and couldn’t even provide an accurate copy of the bill, since 300 pages had been added in the middle of the night, but the new sections hadn’t been put in their proper places in the 1200 page bill that had been released four days before.) No Republican amendments to strengthen to the bill will be allowed. The rule can be found here. It is quite possible that the vote on final passage will be delayed until tomorrow. Senate Majority Leader Harry Reid (D-NV) has scheduled votes on amendments offered by Sens. Mitch McConnell (R-KY), Jay Rockefeller (D-WV), Max Baucus (D-MT), and Debbie Stabenow (D-MI) amendments to S. 493, a re-authorization bill for small business subsidies, for some time after 4 PM today. The McConnell amendment is the Senate version of the Energy Tax Prevention Act, S. 482. The other amendments are attempts to give some ground without blocking EPA regulation of greenhouse gas emissions permanently (that is, until Congress authorizes such regulations). This shows how far the debate has shifted. It appears that the three straddling amendments may each get fifteen to thirty votes. It appears that the McConnell amendment (#183) will get 51 or perhaps even 52 votes, but will not be adopted because it is not a germane amendment and therefore requires 60 votes to survive a point of order. All 47 Republicans are expected to vote for it plus Sens. Joe Manchin (D-WV), Mary Landrieu (D-LA), Ben Nelson (D-NE), and Mark Pryor (D-AR). Maybe one more Democrat, such as Sen. Claire McCaskill (D-MO). Senate Majority Leader Harry Reid could of course still change his mind. The White House yesterday sent a veto threat to the Hill yesterday. The full statement can be found here, although this excerpt aptly summarizes the President’s position. This indicates two things: that passage is becoming a real possibility; and that the White House is sending a message that some House Democrats who want to get re-elected can vote for it in the knowledge that the White House is standing by to save them from the consequences. After today’s votes, the next step will be to attach H. R. 910 / S. 482 to a vehicle that the President will have a hard time vetoing. Did anyone say debt ceiling? McConnell amendment (Inhofe’s Energy Tax Prevention Act, S. 482): 50 Yes, 50 No. Rockefeller amendment: 12 Yes, 88 No. Stabenow amendment: 7 Yes, 93 No. Baucus amendment: 7 Yes, 93 No.